The Bhopal state medical education department has announced its plan to make additional seats for students who wish to pursue under graduate courses in medical colleges. There are 1350 more seats for the upcoming session in various medical colleges in the state. These seats will be made available though the state modus operandi of establishing six private medical colleges, as well as 450 under graduates seats in the government medical colleges. The medical education department is planning this initiative. A formal proposal for the 450 seats increase has already been sent to the MCI. The director of medial education department, Dr GS Patel has also confirmed the news in his implied statement that it is the governments which has taken the decision to increase the seats in five government medical colleges. He further implied that the six proposed medical colleges have been inspected by the MCI and the permission granted to start the session. These new colleges will accommodate 900 students, with 150 students in each college. In addition, a financial proposal from the government medical college to upgrade their facilities is now awaited. 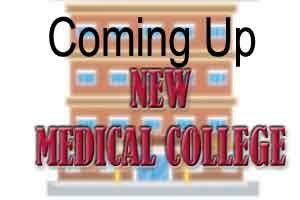 The six private institutions from all over the state which had applied for opening of the medical colleges include Mahaveer Medical College and Advance Medical College from Bhopal, Amaltas Medical College and Morden Medical College from Indore, Sukh Sagar Medical College from Jabalpur and Sakshi Medical College from Guna. As reported by Free Press Journal, according to the proposal the medical colleges of Bhopal, Jabalpur, Gwalior and Indore can increase 100 seats each and in Rewa college an addition of only 50 seats has been recommended. Presently in the state 800 students are doing their graduation from the government colleges. However, the number of seats in Bundelkhand Medical college of Sagar would remain the same because of insufficient teaching staff. The teaching staff has not been increased in the college.